IF BOBBY TROUP-S LEGENDARY TUNE is to be believed, you can "get your kicks" on Route 66. It-s a shame the songwriter didn-t travel U.S. Route 17, a roadway perhaps not as snappy to rhyme but that serves as a main artery through some of the finest real estate markets along the scenic Carolina Coast. As it passes through these exceptional residential and vacation communities, Route 17 is always near the water. It-s never more than a mile or two as the pelican flies from the Intracoastal Waterway and the shores of the Atlantic itself. And two major lakes-Marion and Moultrie-are less than an hour away to the west. A brief journey down Route 17 might begin at Wilmington, a delightful port city between the Cape Fear River and the ocean in North Carolina-s Inner Banks. With a population of around 100,000, it offers many local attractions and events and a historic preservation district with fine old homes and tree-lined streets. Rick Bawcum of @Home in Carolina Custom Home Builders feels the Wilmington area enjoys a "perfect storm" of highly desirable attributes for home buyers, among them a temperate climate, low unemployment, a waterfront location and a robust, growing economy. Bawcum says that "It-s easy to be optimistic" about the housing market in Wilmington and the tricounty area of New Hanover, Brunswick and Pender counties because their quality of life guarantees that "People simply want to live here along the ‘Sweet Tea Coast.-"
The next stop on Route 17 is Myrtle Beach and its companion communities, including North Myrtle Beach, Murrells Inlet and Surfside Beach, which form the heart of The Grand Strand. In addition to the other attractions of the coast, Myrtle Beach offers brand-name outlet malls and entertainment spectaculars such as the Carolina Opry, the Dixie Stampede and Legends in Concert. The Grand Strand continues on to the towns of Pawleys Island and then Georgetown, which, as the state-s third oldest city, dates to 1729 and is still an active port with a charming downtown historic district. Pawleys Island is the oldest seaside resort in America, and though the year-round population is small, Pawleys offers pristine beaches, fine dining and eclectic shopping, particularly at the popular Hammock Shops. The journey continues through the quaint and tiny seaside village of McClellanville, through the pine-lined corridors of the Francis Marion National Forest and the historic community of Awendaw, named for an oyster shell mound created by the Sewee Tribe. The next destination is greater Charleston and its multitude of fast-growing up-market coastal neighbors such as Mount Pleasant, Isle of Palms, Sullivan-s Island, Daniel Island, James Island, Johns Island, Folly Beach and Kiawah Island. It-s hard to overstate the charm and historic significance of Charleston, "The Holy City," with its cobblestone streets, magnificent churches, homes and buildings dating back to the 18th and 19th centuries, its bustling Market and its "big city" host of fine dining, upscale shopping and first-rate entertainment options. Of course, all of Charleston is easily accessible to its suburban towns, and everywhere you look you-ll discover water-the Ashley, Cooper and Wando rivers; creeks; estuaries; marshes; and, of course, Charleston Harbor itself. Longtime resident Jimmy Carroll of Carroll Realty grew up on Sullivan-s Island before the Charleston area communities became "the hot spot they are today." 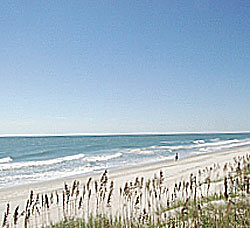 Carroll, who heads Charleston-s only waterfront real estate office, is high on the area-s "wonderful year-round towns." "Nationally," he notes, "most people are moving to within 100 miles of the coast, so the law of supply and demand dictates a higher appreciation rate. Right now, with the economy slowing down, there couldn-t be a better time to be buying at the beach." 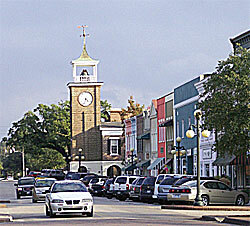 Further south, roughly halfway between Charleston and Savannah, Georgia, are the city of Beaufort and the village of Port Royal, offering slow-paced, semitropical living in an environment of quaint homes and shops, waterfront charm and a Southern hospitality reflective of an earlier era. Finally, just before Route 17 slips across the border into Georgia, is spectacular Hilton Head Island and, just across the bridge on the mainland, the town of Bluffton. This rapidly-growing region is spearheaded by Hilton Head, with its 12 miles of sandy white public beach, championship golf, tennis, water sports and virtually limitless recreational, cultural and dining and shopping opportunities. The largest barrier island off the Atlantic coast between New York-s Long Island and the Bahamas, Hilton Head Island was first surveyed in 1663 by and named for English Sea Captain William Hilton. The island was essentially undeveloped until the 1950s, when slow growth began. The 1970s saw the beginning of a boom with the rapid development of the Sea Pines Resort. Today, according to Jeff Hall of Charter 1 Realty, "Hilton Head and Bluffton are great places to live because they share a sense of community and are not just resorts. Plus, the public and private schools there are among the finest in the state." Hall says there are great real estate buys available right now because the market has slowed down. The high-end ocean-front and deep-water properties continue to sell well, ranging from $4 million to $4.5 million for renovated older homes and from $7.5 million to $8 million for new construction. Hall feels that the coming trend will be toward new building on old properties, with buyers seeking turnkey move-ins. He thinks most new buyers will live in their properties, even if they are second or third homes, rather than renting to vacationers. If Bobby Troup-s song had actually been about the road along the coast, its key refrain might have been, "Get the best real estate values you-ve ever seen. ... throughout the Carolinas on Route 17."